The Community Play Day is an event for Newton residents to come together and play and be active in the heart of our community. Also, food trucks, kayaking, and canoeing available. Acupuncture Newton, Inc. provides private acupuncture treatments, herbal consultations using Wholistic Kinesiology, NAET allergy desensitization treatments, emotional balancing, and other Chinese healing modalities on a one on one basis. We also offer community acupuncture for all conditions. These are individualized treatments in a quiet, open setting with a private consultation and a shared room space. These treatments are available for people of all ages. We offer many styles of acupuncture including acupuncture, acupressure, auricular (ear) acupuncture, scalp acupuncture, NADA detoxification protocol, traditional Chinese medicine. We offer relief from many conditions physical and emotional . Our mission is to provide affordable, high quality treatments. For acupuncture to be most effective, patients need to receive it frequently and regularly. We want you to come often enough to get better and stay better. ﻿﻿We offer a sliding scale of $15 - $50 for community acupuncture and a sliding scale of $65-80 for private acupuncture, kinesiology, emotional balancing, and NAET allergy desensitization treatments. You decide what you can afford to pay. (There is an additional $10 consult fee for your first appointment.) No proof of income is required. I would just like to take a moment to say a huge THANK YOU! Prior to my first treatment with you I had been plagued with continuous sinus infection and various and sundry other debilitating illnesses. After only a few short visits, not only have I noticed decreased issues with my fibromyalgia, energy levels and overall general well being, but for the first time in too many years to even count I can actually BREATHE!!!! I no longer have any issues with my sinuses, I can smell (which I don't even remember how long it has been since I could smell anything!) and I sleep through the night as I am not continuously waking to take a drink of water due to the horrible snoring in my sleep! I have lived with the issues with my sinuses for so long I had completely forgotten what it was like to NOT have a sinus infection! I have spent years on antibiotics, even did a 'long term' antibiotic trial in an effort to alleviate the problems.....all to no avail. I cannot even begin to verbalize how liberating it feels NOT to have ANY issues at all now. Your treatments have been so significant in my life and made such a huge difference that as we continue I just want more and more, because with each treatment I notice something new that "feels better" than it has in many years. I am deeply grateful and look forward to continuing this journey with you to better health. I know I could never have reached this point without your caring expertise. Remember the ad on TV how do you spell relief? For me it has been acupuncture. I have tried many things. In 2002 I went to Mayo Clinic and was told that nothing could be done for peripheral neuropathy. I begin taking Neurontin and the pain in my feet was so terrible that I could only walk a short distance and standing was next to impossible. Willing to try anything to stop the pain I tried a new (to me) surgery in both feet and legs. It did help but still the pain has continued." "Hearing great things about how acupuncture has helped other people with different problems I decided to try it for my feet and it has helped!! I can walk without the terrible burning pain for a much greater distance." "Knowing that the pain will never completely go away I am ever so thankful for the relief I have gotten from acupuncture and for the professional care given to me by Constance Gehring." I suffered severe emotional trauma last year due to a sudden divorce and finally had to come to terms with some ongoing health issues that seemed to totally overwhelm me under the additional pressure I was encountering as a single working mother close to 50 years old." "I am normally healthy but the circumstances were too much to handle and I got migraines, menstrual issues, lower back pain, and just felt depleted and unable to cope. I also was trying to process a lot of grief and loss." "Constance Gehring treated me as a whole person from the very beginning, directly treating my symptoms, but also working with visualizations and other healing modes to revitalize me spiritually and physically. After one key session I was able to release a whole lot of loss which was making my heart actually ache and I felt incredible release and relief." "I have found Constance Gehring to be patient, highly intuitive and very effective as a healer." Constance Gehring is a licensed Doctor of Oriental Medicine and licensed acupuncturist now practicing in Newton, Kansas. She is nationally certified by NCCAOM in Acupuncture and Herbalogy. She is certified as a Wholistic Kinesiologist and practices NAET Allergy Elimination. Dr. Gehring has an undergraduate degree in Business Administration, a Masters of Counseling, and a Masters of Science in Oriental Medicine. She is a graduate of the International Institute of Chinese Medicine of Santa Fe, New Mexico. Her practice employs Chinese and Japanese Acupuncture and Oriental Medicine technique, Wholistic Kinesiology, NAET ( Nabrudipod's Allergy Elimination Technique), Nutritional Supplementation and Chinese herbal formulas for patients seeking relief from many problems and conditions. Client satisfaction includes pain, stress, anxiety, allergy clearing, headaches/migraines, digestive issues, muscular skeletal conditions and pain syndromes, detoxification, women's health and fertility, and treatment for addictions. Her work as a DOM includes the specialty of using the NADA protocol (National Acupuncture Detoxification Association) to help those suffering from addictions to alcohol or drugs. Dr. Gehring’s Stop Smoking Protocol includes the use of NADA, electric stimulation, visualization, and other techniques. In the past through the Evolution Group (Albuquerque, New Mexico) Dr Gehring helped many individuals experiencing cravings, withdrawals, anxiety, and other problems associated with addictions. 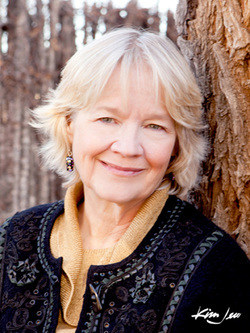 Constance Gehring is the past Treasurer for the Acupuncture and Oriental Medicine Association of New Mexico (AOMANM), a state association for acupuncturists. She formerly volunteered bi-monthly at Los Arboles, a home in Albuquerque, NM for men recovering from substance and drug abuse. She served as a board member for the New Mexico Board of Acupuncture and Oriental Medicine (BAOM) from 2014 - 2015. Although I have a lifetime of attraction to natural medicine, I have only been practicing Acupuncture and Oriental Medicine since 2004. My journey started at age 11 when my grandmother, Helen Toevs Regier, put a slice of onion on my arm after I was stung by a hornet. I believe the body has a natural intelligence and desire to heal. As healers, our job is to provide the treatment to the best of our ability that enables the body to do its job. For many, it is important to be heard in order to facilitate physical and emotional healing. During my 20's I took a class on using herbs to repel moths and make teas. An herb store opened at 39th and Main in Kansas City. I read a lot. Jethro Kloss was my first teacher. In my 30's and 40's in Taos, NM, I had the good fortune to study with Herbalist Lucy McCall. She took us in the mountains on herb walks and taught us to make tinctures, salves, flower essences. I had a business called Black Bear wherein I made and sold tinctures, bath salts, essential oils, soaps, moth repellant. It was during this time that I was finally able to stop smoking. Acupuncture helped. I also had made a few tinctures and found recipes for very similar tinctures in Michael Tierra's “The Way of Chinese Herbs”. I wanted to make the leap from making product to working with people. The International School of Chinese Medicine in Santa Fe had a very good reputation for its teaching of Chinese medicine and Chinese herbs. I enrolled in the Fall of 2000. It was a Masters program of three full years of instruction, 2800 hours. 900 of those hours were in clinic, 500 in Chinese herbs, and the remainder in Chinese philosophy, diagnosis, and treatment. Most of our teachers came straight from China. They were trained both as allopathic physicians and as acupuncturists. I will always be grateful to Dr. Li Li, Dr. Liu, Lady Wong, and Dr. Zhao. To practice acupuncture in the United States, one must graduate from an accredited school, pass the national acupuncture exam, pass the national herbal exam, then meet the qualifications of the state of residence. Following licensure, CEU's are required annually to keep one's license. Our profession is the only one with the extensive knowledge of theory and empirical knowledge that is qualified to safely and effectively treat with acupuncture needles and other Chinese medicine modalities. This is a medicine that offers an opportunity of a lifetime of learning. I am honored by those who place their trust in me. This is a very enjoyable and satisfying profession. My hobbies are gardening and painting.